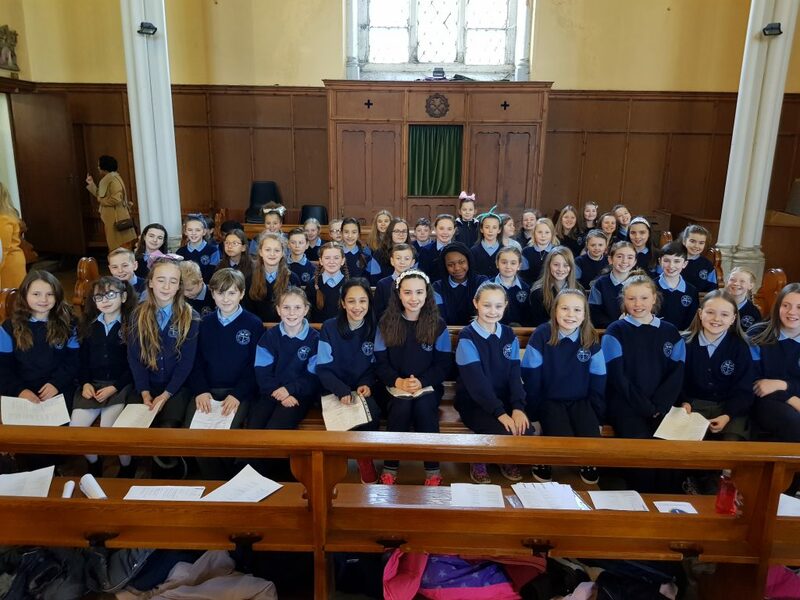 Holy Family NS Choir are delighted to join 6th class once again in this beautiful Christmas service. 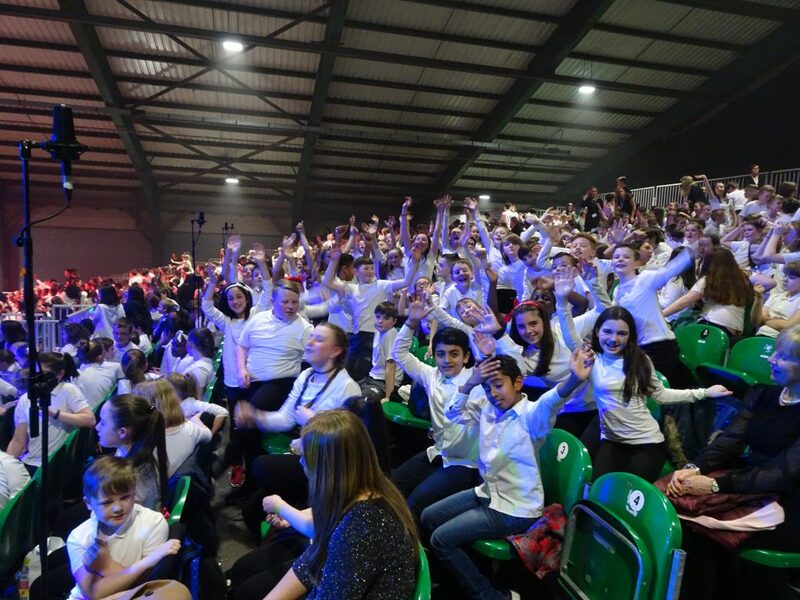 Always a gorgeous night, with lots of singing and bundles of local talent! 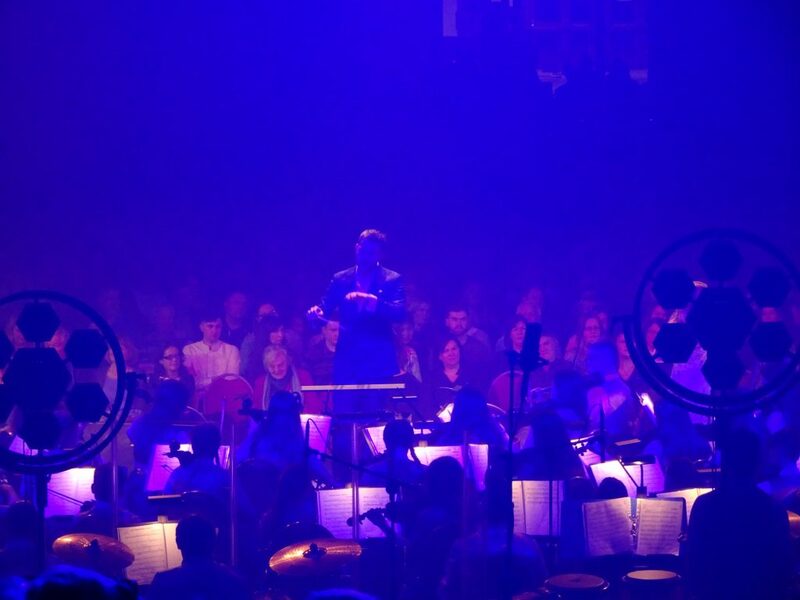 We’d love to see you there to hear the fruits of all our hard work over the last few weeks. 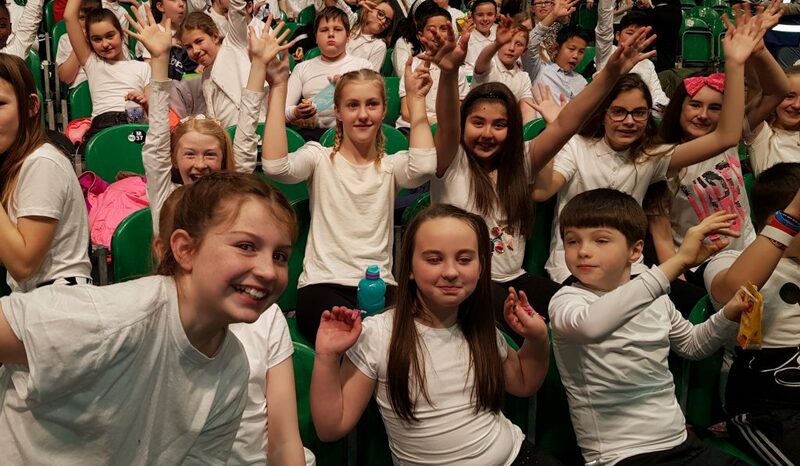 See school email for code!! Well done to our school choir for singing so beautifully at the school Confirmation in St.Mary’s Church Saggart. 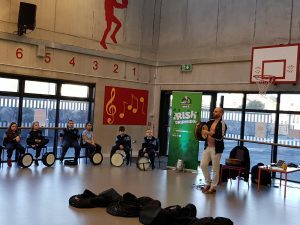 Bodhrán Buzz in Holy Family! 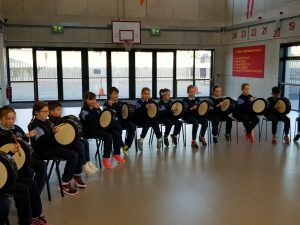 3rd class to 5th class had great fun learning about the bodhrán and learning lots of rhythms to add to various styles of music. 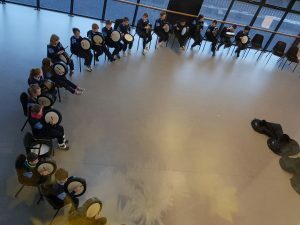 Ms. Merry’s 3rd class playing the bodhrán to some of their favourite songs! 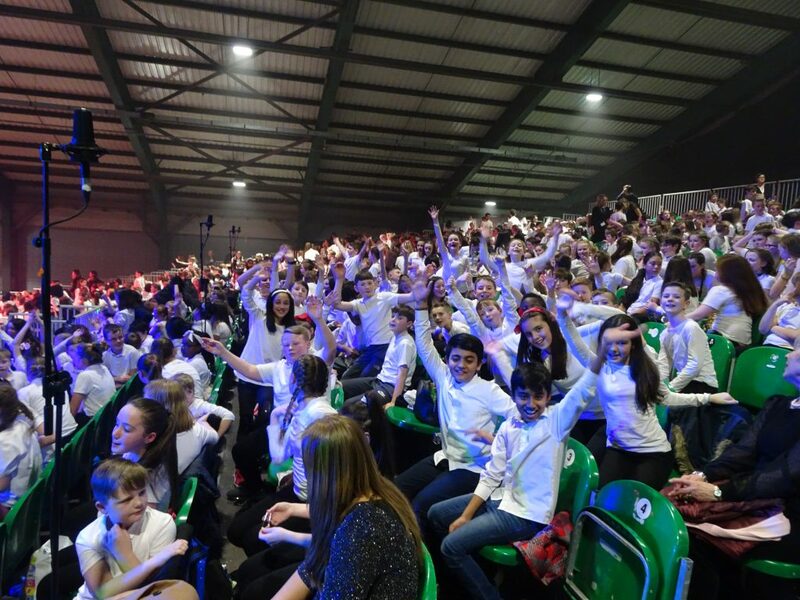 Brilliant night had by 5th class at the Dublin Peace Proms 2018! 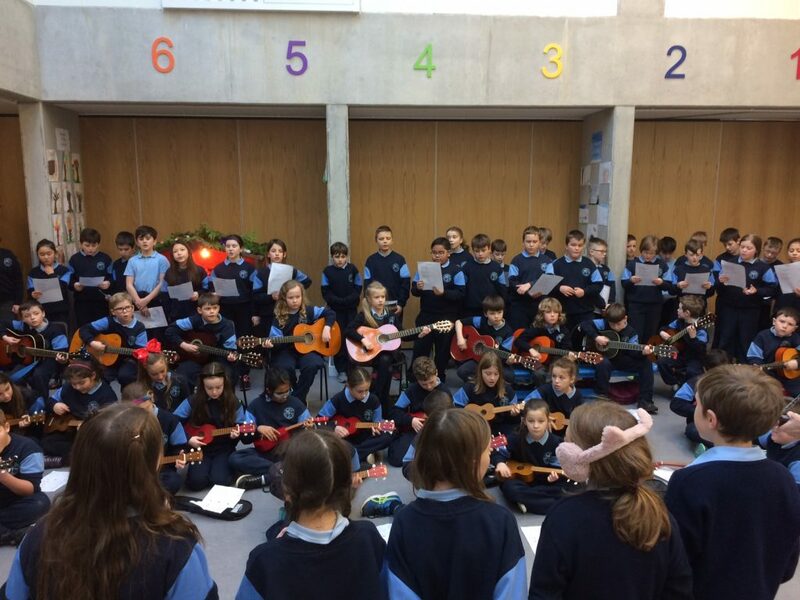 Here is 4th class singing and playing the ukulele with the guitar group. They’re getting ready for our Christmas assembly. 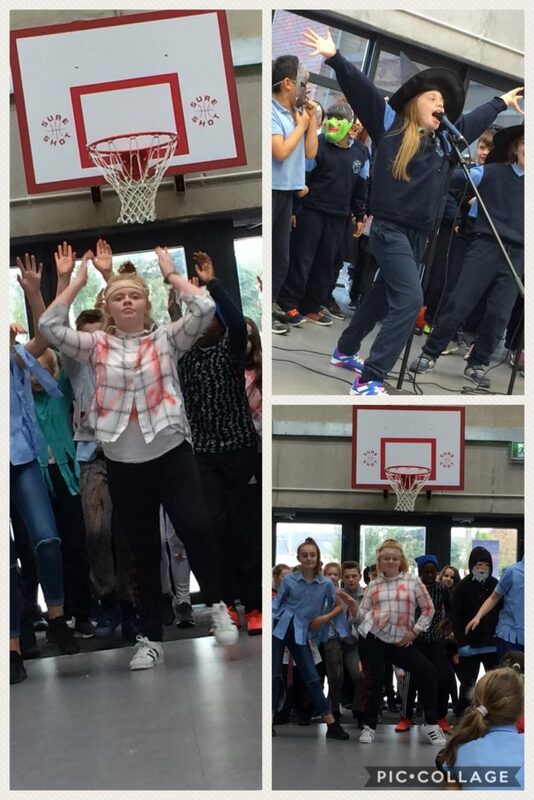 Check out 3rd class and 6th class performing at our Halloween assembly! 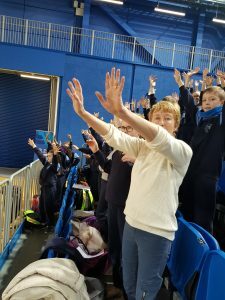 Choir Rehearsals have kicked off in Holy Family NS. 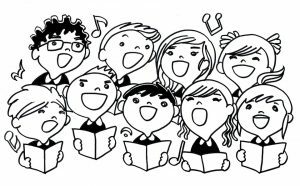 Preparations in full swing for the 28th annual Christmas Carol Service in Church of the Holy Family Rathcoole, December 5th. Great excitement over the ukulele lessons in Holy Family!! Here are a few chords 4th, 5th & 6th Class will learn on the Ukulele this year. 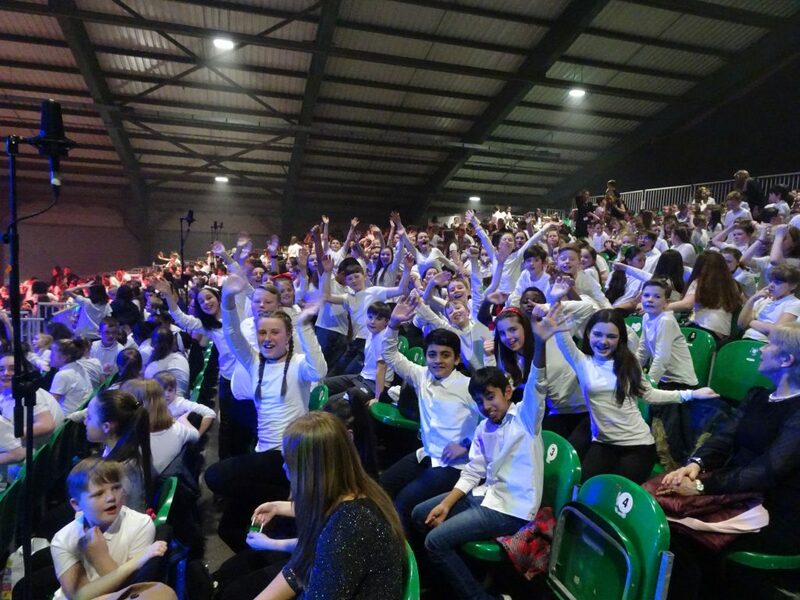 A big welcome to all who have joined our school choir for this year, we are delighted that there is so much interest. 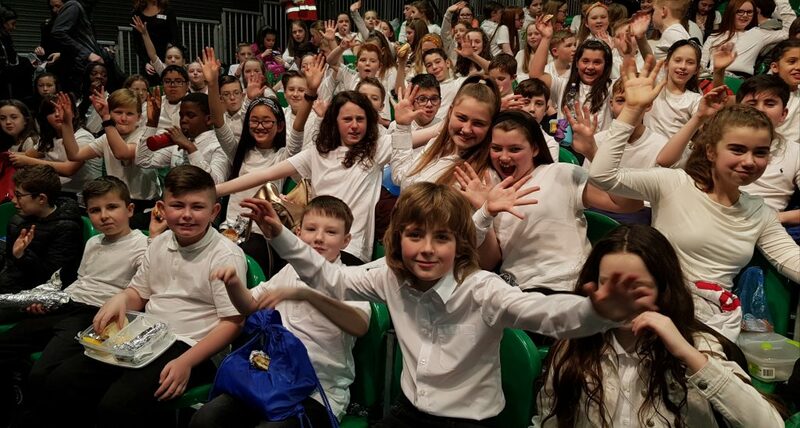 Looking forward to another year of wonderful performances. 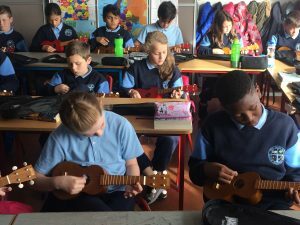 Check out 5th Class below beginning ukulele lessons during the week. 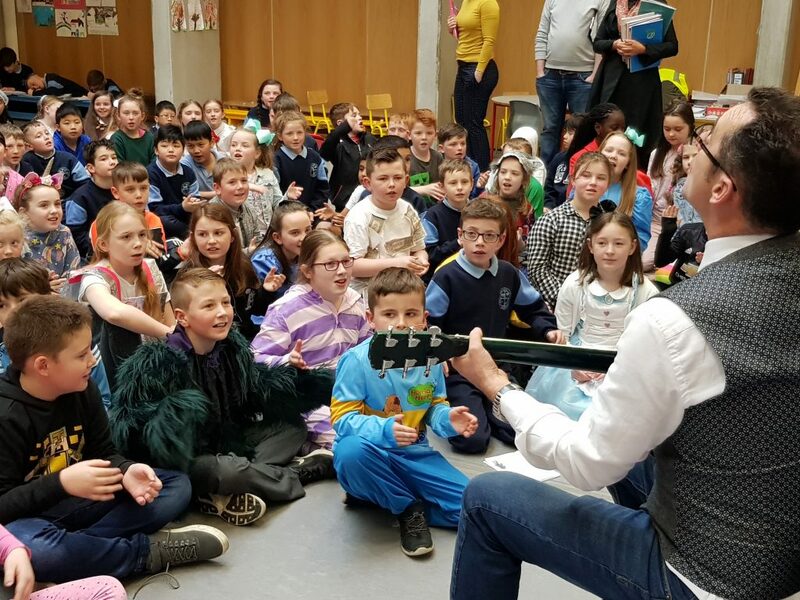 Ukulele lessons will be given to all 4th, 5th & 6th class children this year. We are going to learn Tom Petty’s “Learning To Fly” on the ukelele. The advanced guitar class on Thursday have started learning the song on guitar and it’s great. Only 4 chords. 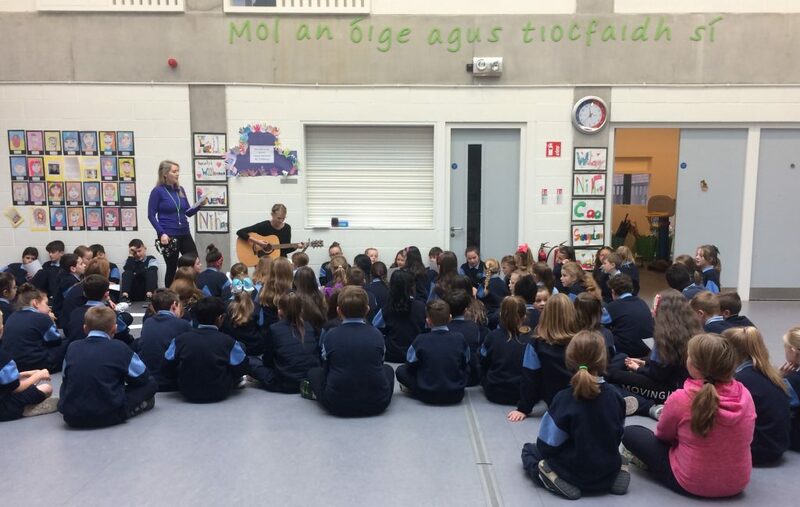 F. C, Am, G. We hope to have some video of some of the 4th class pupils playing and singing the song together. So check back soon!!! Here’s the lyrics for anyone who wants to try it with their class. 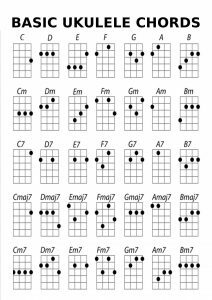 Use the ukelele chord guide above.